This past Saturday we spent a day in Tarpon Springs, a lovely Greek town, with lots to do and see. Besides eating delicious Greek food we booked a boat tour to a small island for shelling. 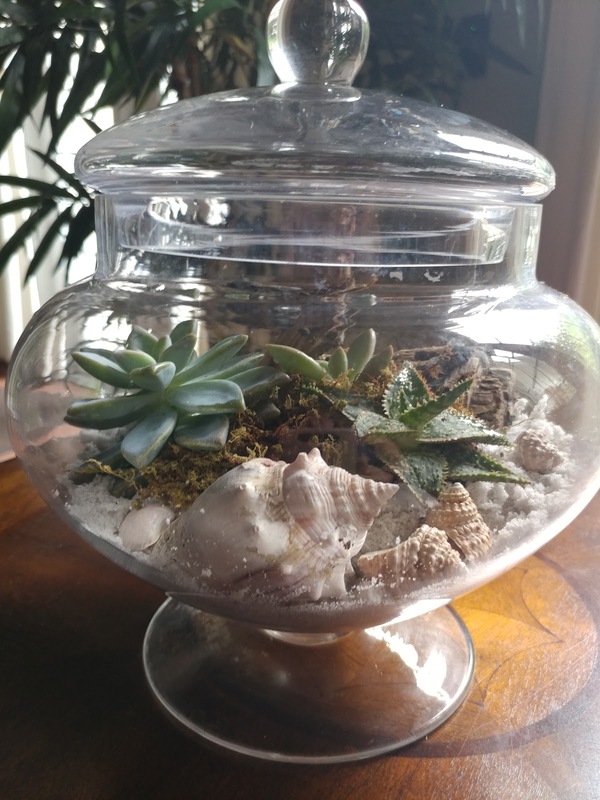 What to do with the sand and the shells? display them of course!